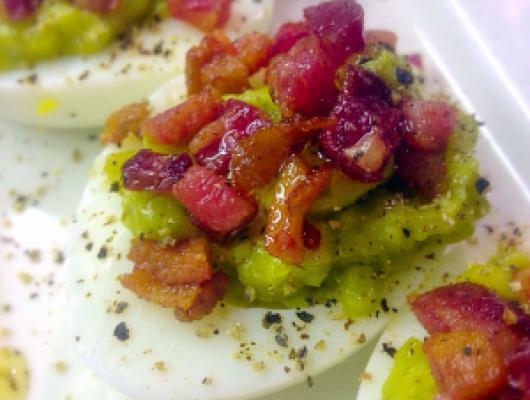 In case you needed another reason to fall in love with avocados, try these deviled eggs. 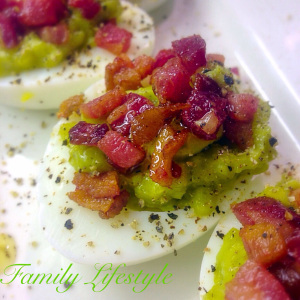 They make a great appetizer and after the Easter weekend, you'll have plenty of leftover hard boiled eggs to use up. Put those eggs to use with this simple, yet so delicious recipe; you'll definitely want to make these again and again!